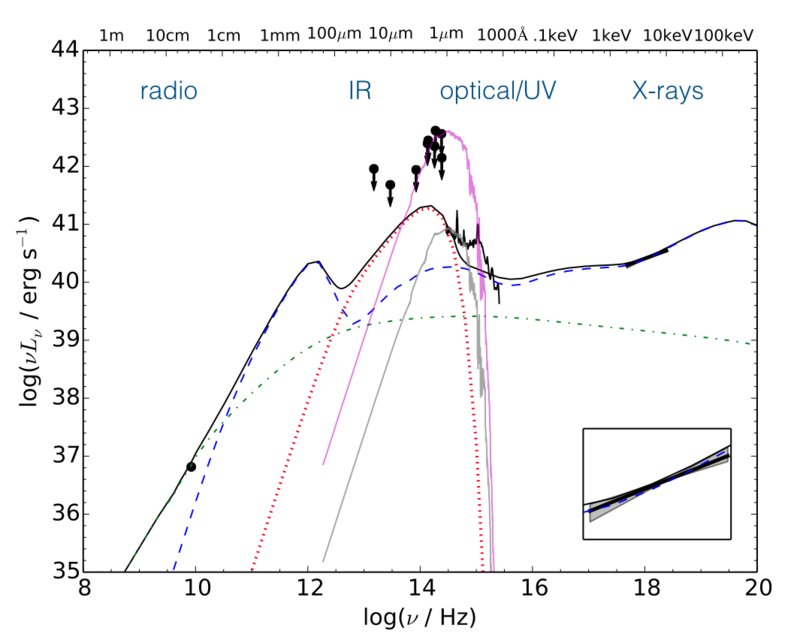 In order to probe the accretion and jet physical properties in low-luminosity active galactic nuclei as a class, I modeled the broadband radio to X-rays SEDs of 21 LINERs with a coupled ADAF-jet model (cf. figure; Nemmen et al. 2014, MNRAS; Mason et al 2014, ApJ; Nemmen et al. 2011, arXiv:1112.4640; Nemmen et al. 2006, ApJ, 643, 652). 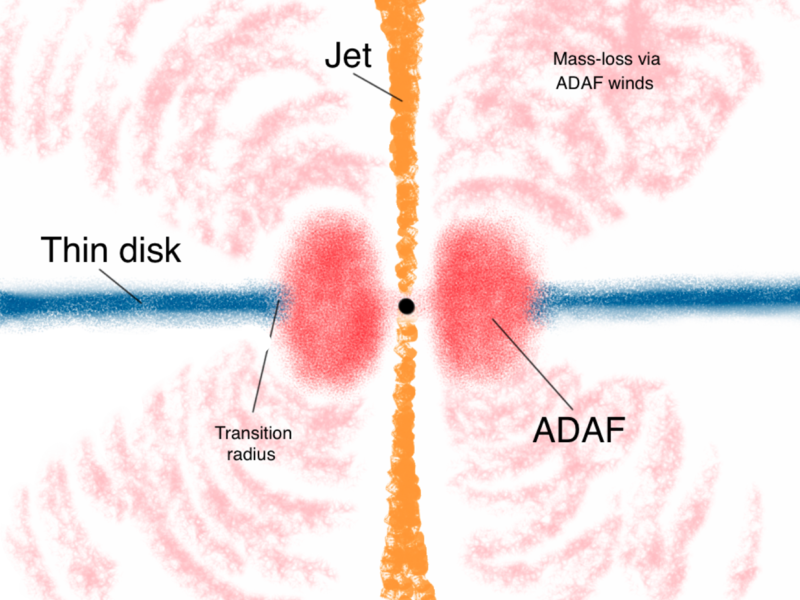 I found that the radio emission is severely underpredicted by ADAF models and is explained by the relativistic jet. It is imperative to better observe and study/model this class of objects in all available wavelenghts, in order to better understand the complex physics at work. I have different projects aimed at advancing our understanding of supermassive black holes “taking a nap”, by making use of observations in different wavelenghts. I am also interested in computing new models of the electromagnetic signature of accreting black holes. Example of spectral energy distribution model for NGC 1097, showing the emission from the ADAF (dashed), relativistic jet (dot-dash) and truncated thin disk (dotted) (Nemmen et al. 2011, 2014).